I have a fig tree…and I have been making everything possible: jam, fig toast, fig bars, fig cake! Now…Eggplant, Fig Pizza! 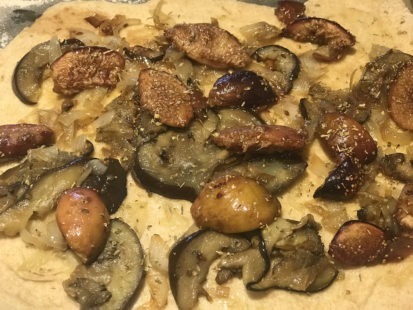 Fig Eggplant Pizza!!! See separate recipe for whole wheat pizza dough here. Figs are a natural to meld with eggplant because they both are sweet. 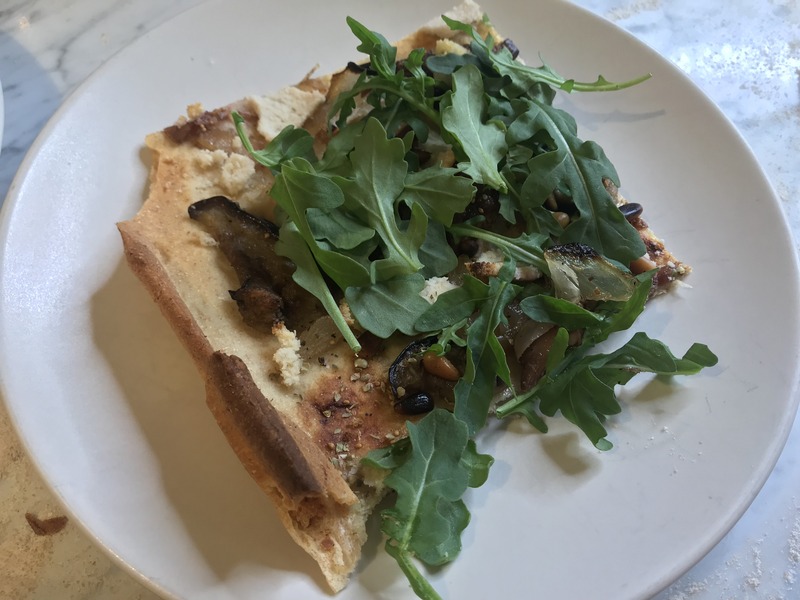 Add some carmelized onions and you have a super delicious pizza…add a bit of salty/savory with the vegan feta and then come crunch with pine nuts and freshnesh with arugula: heaven!! Invite friends over because you are set to impress with Figs Eggplant Pizza! Let me know how it goes and please send pix! 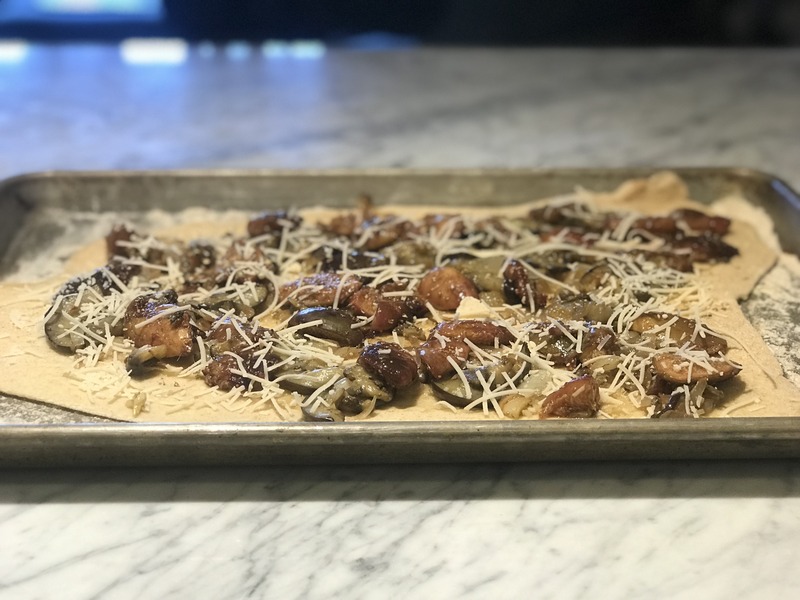 THANK YOU to FB Live’s #JaneUnChained where this recipe first appeared! Take a bunch of garlic. Cut off tops. Put in tin foil and put in toaster over for 45 minutes. Coat in balsamic vinaigrette, then sautee in a little bit of extra virgin olive oil. Take pine nut and roast in a saute pan with a bit of olive oil, letting them get brown. Set aside. When garlic is ready, take out and let cool. Roll out pizza dough into square and put on a baking sheet. When garlic is cool, squeeze out garlice and spread evenly on pizza dough. Then layer with eggplant, onions and figs. Bake for 20 minutes on 450. Pull out and sprinkle with pine nuts and layer with arugula.